Classic Industries offers a wide selection of Vacuum System Components for your Chevrolet Bel Air. 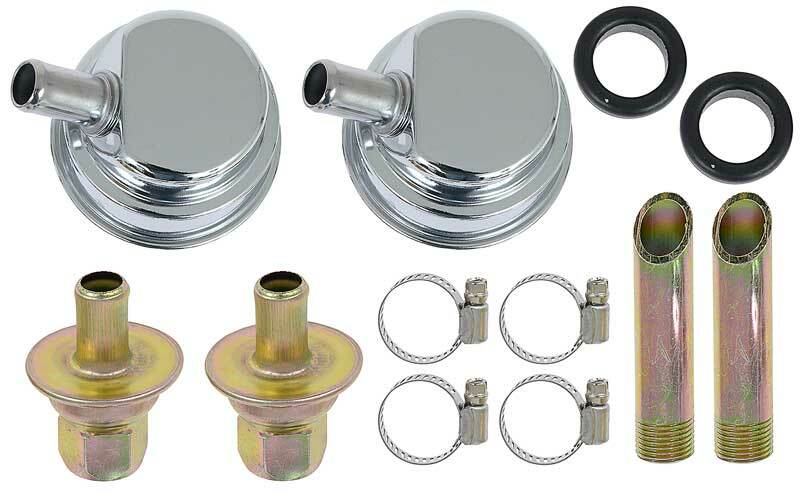 Classic Industries offers Chevrolet Bel Air Fittings, Chevrolet Bel Air Hoses & Clamps, Chevrolet Bel Air Lines, and Chevrolet Bel Air PCV Valves. This aluminum housed PCV valve is just what you need to finish your engine bay detailing project. 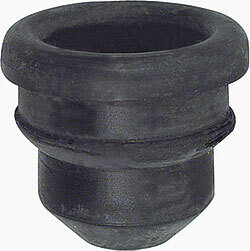 Manufactured with a 3/4" neck for 3/4" ID grommets. Note: Rubber grommet not included. Reproduction of the original figure 8 coil bracket used on 1956-57 Chevrolet passenger car models with two 4 bbl carburetors. A quality reproduction of the original vacuum advance metal tube for use with all 1966-69 396 / 375hp with Holley carburetor. Includes clip for intake and hose. Reproduction of the original road draft tube used on 1955 Chevrolet V8 passenger cars. Fits in rear of block behind distributor.